On Wednesday 16th November the bestselling author, Matt Haig came to visit St Joseph's. Matt Haig has not only won the Blue Peter Book Award and the Smarties Book Prize but, he has been shortlisted three times for the prestigious Carnegie Medal for his stories for children. 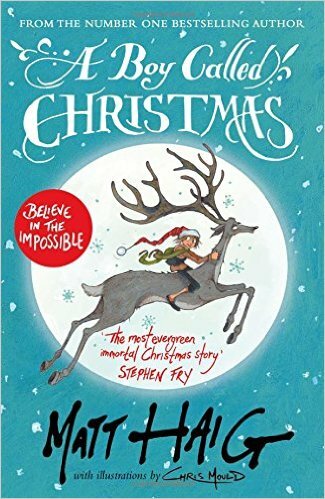 Released last year, A Boy Called Christmas was called “an instant classic” by The Guardian, with Stephen Fry, the voice of the audio book, proclaiming it “The most evergreen, immortal Christmas story for decades”.Its sequel, The Girl who Saved Christmas, has just been published. His presentation to children in Years 3 – 6 was fantastic. Matt talked to the children about his writing and explained how his inspiration for writing A Boy Called Christmas was his son who wanted to know how Christmas began. 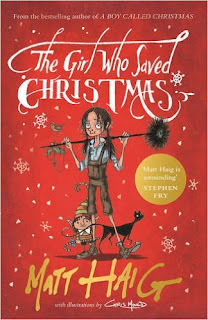 He read from his new book, The Girl who Saved Christmas and showed a fun video of the illustrator, Chris Mould, creating the images for the story. Matt also taught the children words that Charles Dickens had invented such as “chuckaboo” meaning friends and “gigglemug” meaning someone who laughs a lot. The children were so delighted and participated in all the fun activities that Matt had prepared for them especially Ilaria (Year 4) who dressed as an elf and Bianca (Year 5) who dressed up as a troll for a game called ‘Trolls versus Elves’. Afterwards many of the children got to meet him personally as he signed their copies of his books. He was truly impressed with the children and the school. It was a truly inspiring visit! Thank you so much Matt. Thank you too to Canongate Books and Children’s Bookshop, Muswell Hill who made this event possible and to all the Parents/Carers who supported us by purchasing books.